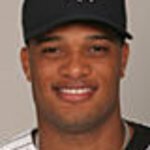 Robinson Cano is a baseball player for the New York Yankees, and involves himself in many community projects. He is a member of the 2008 Red Cross National Celebrity Cabinet. Google trends for "Robinson Cano"
We don't have any videos related to Robinson Cano.